Most Monday afternoons (weather permitting) at 2pm, we hold an open session for anyone wishing to have a game. This is open to bowlers who are members and non-members alike, all you have to do is turn up. Bowler who are Non-members in particular are very welcome and encouraged to join in! All you need is a pair of flat shoes/trainers (no heels) and we, the club, supplies bowls and other equipment. The dress code is relaxed for the Monday club. Any sensible clothes are acceptable, including plain, smart shorts. There is a charge of 60p which includes tea and biscuits, in addition a green fee of £2.50 is charged for all non-members. 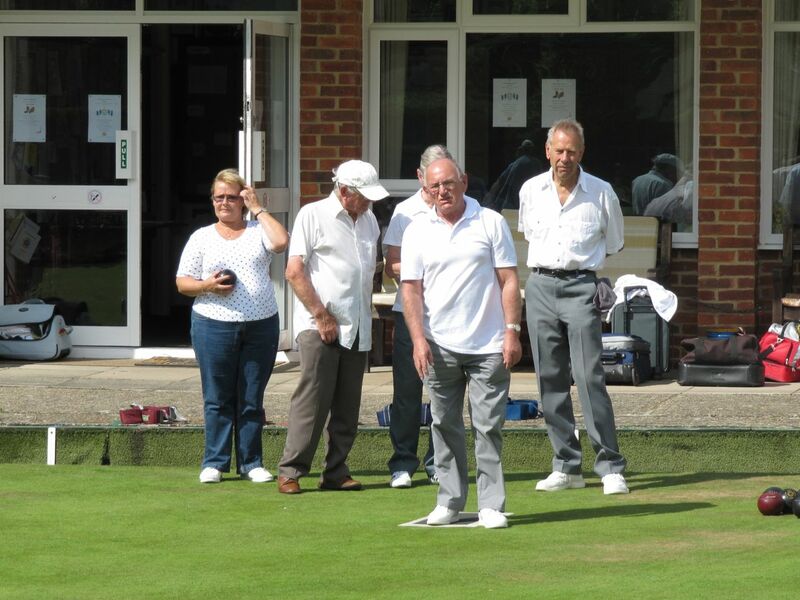 After your refreshments you can continue to play until 5.30pm approximately or just chat to the club members and watch. What a nice way to spend a sunny summer’s afternoon! So, no excuses, it’s fun, it’s healthy and it’s a great way to make new friends, so why not have a try, you won’t regret it. Phone Sheila (01252 811281) if you want more information, or just turn up on the day.